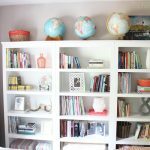 Create a Home Library or Reading Nook - D4 Construction Inc. Contact Us For Your FREE Estimate Today! Those who are able to afford these home libraries are usually affluent – and not your average family. These were more common years, ago, but today, things are different. While those libraries still exist and may appeal to you, there are so many more options to consider today. For example, I grew up with a library in my home. It didn’t even remotely resemble that which I just described. In fact, it was nothing more than a well-planned alcove in our finished basement. As the house was being built years ago, my parents had the foresight to have the builder carve out a U-shaped space, lined with bookshelves and with a work table protruding from the short, middle wall. Paired with brightly colored stools, it was just large enough for a couple of us children to learn and read in. While many of us today don’t have the luxury of getting into a home before the walls go up, there are many ways to embrace our love for books and create a space that is both functional and inspirational and indulges our enjoyment of reading and research. In addition, it solves the common problem book lovers have of keeping all their hardcovers and paperbacks organized and neat. All these options can make for a wonderful home library. We won’t go into all of these areas within this article, and you may even have other spaces not even mentioned. Be creative in your thinking and decide what location works best in your house. Once you have, consult a home building contractor such as Mike at D4 Construction in Kamloops (250-572-4812). Have your contractor evaluate the space and check your walls and floors to ensure they can accommodate the extra weight of all your books. There is a possibility that walls or floors will need to be reinforced, so don’t take anything for granted. Safety first! Ideally, there will be wonderful lighting in the space you’ve chosen, but no worries if not; as discussed in our January 2019 issue, you can always supplement with accent lights, task lighting and different bulbs to make it the well-lit space it needs to be. And if you choose to have a home library double as a guest room, that can be accomplished with a pull-out sofa instead of a chair, and dimmers added to existing lighting. Plan out your home library on paper, moving around shelving, chairs and table (if you’re including those) until your layout makes the most sense and creates an atmosphere conducive to reading and relaxation. Once your chosen location has been inspected by a professional, next consider your finances. You may be able to afford a complete renovation with built-ins created in each wall, which would be wonderful. Again, call Mike and he’d be happy to complete the project for you. But if your wallet says no to that option, there are other ways to create your stress-free, library retreat. Let’s say you just have one smaller wall in a bedroom available. It may be wide enough to comfortably accommodate two bookshelves with a small amount of room left over. 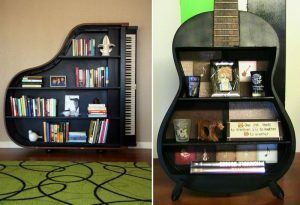 Consider purchasing two matching bookcases and create a desk area between them. Above the desk, install several staggered floating shelves. On these, place favorite framed photos, plaques or memorabilia that personalizes the room. Your bookcases need not be expensive either. Do an internet search and don’t dismiss furniture that needs to be assembled; it’s a great way to save money (I tend to think of IKEA first, but there are plenty of options out there). Not great with tools? Invite a friend or two over who are, then feed them a nice dinner in exchange for their putting your bookcases together for you and anchoring them to the wall. Oh yes – most shelves and bookcases need to be secured. Again, safety first since a collection of books is very heavy and you never want to risk its toppling over. Speaking of IKEA, I have several of their storage units designed to hold 13×13 storage cubes in my craft room. I use the cube containers in every other partitioned space, and I have books lined up neatly in the others. If you do purchase new, be absolutely certain you know and don’t push the weight limits of each shelf. If that still costs more than you’re able to commit to at the moment, always consider your neighborhood marketplaces on social media such as Facebook and Craigslist. Many times, you’ll find several matching pieces offered for a very low price. And don’t forget your local thrift and second-hand stores. Some of the very best bargains can be found there if you check consistently and aren’t in a hurry. Think outside of the box, too. I was able to purchase a very tall and solid wood bookshelf from a local elementary school for just $5. The school was required to sell it and not just trash it, so they chose that amount. Mine was scarred and scratched, but it didn’t matter since I purchased it to use in my garage. If you had bought that piece and you’re handy or have a friend who is, it could be sanded and transformed into a beauty for your home library. It never hurts to call the older schools in the area and ask them if they make their Reading Room and Library book shelves available to the public once they’re put out to pasture. Additionally, a used piece requires no assembly. You might be able to purchase enough matching pieces to complete your own home library this way. One last thought – consider other–room furniture with storing your books in mind. Bathroom storage or a baker’s rack might hold all your books if your collection is rather small. Other entertainment room pieces would also work well. But if you collect books the way that some people collect clothing, you will need a larger space with more shelving. Setting up your furniture in your library is often dictated by the space you have, since few of us are able to dedicate an entire room for this purpose. You may only have room for a comfortable chair, side table and lamp. In that case, try to position the pieces so that you maximize any natural light coming in from a window. If you have more than one chair, angle them toward one another as you would in a living room. Or, even consider replacing both with a pull-out sofa to allow your library to additionally provide extra sleeping quarters in a pinch. Either way, remember the cozy factor and add a plush pillow or two, as well as a blanket draped over the back of the furniture. A few years ago, I almost purchased a small, round side table. For whatever reason at the time, I did not get it. The table revolved and had two shelves that ran around the entire piece instead of drawers. What a great piece that would have been in a home library! The books you are currently reading – and ones that are next ‘on deck’ – could have been kept there. I’ve often regretted that decision not to buy it, but I’m certain it’s not the only one ever created. If that interests you, too, be sure to do some online research to find one for yourself. 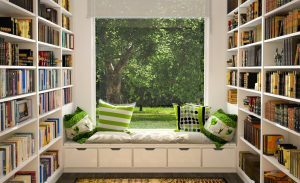 If you have a window seat in your home – or even a bow window that can be transformed into one – this would be a great place to create a mini home library complete with book shelves beneath the seat. It would require a bit of constructions so, again, consult a reputable home contractor. Mike at D4 and his crew are experienced and professional and will be happy to give you a free estimate. Call him at 250-572-4812 and tell him what you have in mind. 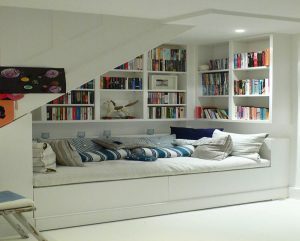 Did you know you can even have bookshelves built around your bed? It’s a creative way to create a library when space is at a premium. Even ones created around a doorway can provide you a solution when other options aren’t viable. Obviously if your home library will also hold children’s books, those need to be housed on the lower shelves. If you’re able to install shelving up to the ceiling, that makes great use of this usually-unused wall space near the ceiling. However, a rolling library ladder would need to be installed if you choose to store your books that high. Organizing your books once you’ve created your home library is a rather personal choice. You may choose some general categories to group your books into such as fiction, non-fiction and magazines. Or you might want to have a section for next books to read. 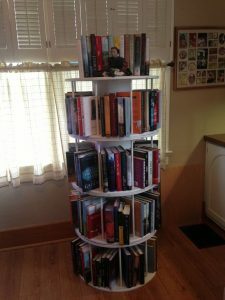 I’ve even seen photos of home libraries where books were organized by the color of the book spine! Whatever appeals to you personally and helps you remember where particular books are, is how you should your home library. That may become a work in progress once the room is set up, and that’s okay, too. 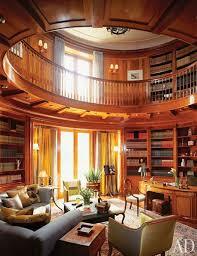 With all the electronic means of reading out there today, many may not be interested in setting up a home library. 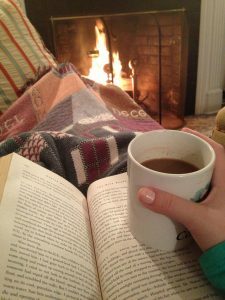 But there are still so many of us who love to hold a book in our hands, snuggle under a blanket with a nice warm drink, and get lost in a great book. If you fall into the second group, I hope you consider installing a home library. We’d love to see your before and after pictures, too, so feel free to send them to us! If you need any assistance, remember to call Mike at D4 Construction! You can reach him at 250-572-4812. "); // $( "#share" ).append( "
Get started today... It's a simple as a call or an email! There is currently no widgets attached to this widget area. If you are the website admin you can hide this by adding a widget to the widget area or by changing the number of widgets option to None. ©2019 by D4 Construction Inc.